Chantelle Johnson is a Christ follower, truth seeker, wife, mother and entrepreneur. She is a Licensed Professional Counselor in the state of NC is the owner and Clinical Director of Soul Care Christian Counseling Services which provides compassionate and professional counseling from licensed counselors and Master's level residents who are committed Christians working from faith in Jesus Christ. She received a Masters of Arts in Counseling from Nyack's Alliance Graduate School of Counseling. She began her professional career in counseling in 2001 and has worked in a variety of mental health settings which include State University of NY Brooklyn EOC, Full Circle Health of the Bronx, NY and Brooklyn Tabernacle. 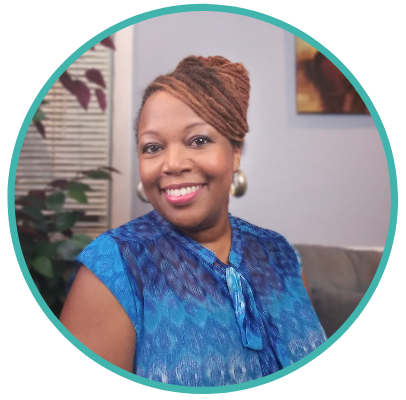 Chantelle is a member of the American Association of Christian Counselors and a certified facilitator for PREPARE-ENRICH, a leading assessment and counseling inventory tool used for Pre-Marital Counseling and Marriage Enrichment. She has been married for 18 years to Max and they are the proud parents of 12 year old Samuel. Chantelle is passionate about helping children, adults, couples and families live the abundant life that Jesus desires for us to have. She seeks to integrate biblical principles with psychology to help people overcome emotional distress so that they can live a faith based life that is characterized by hope and wholeness in mind, body and spirit. If you find yourself in a fog, stuck in life repeating old emotional and behavioral patterns that are not working for you...consider speaking with a Christian Counselor who can give you a new perspective and outlook as you move towards faith, hope and healing.